Apartment lovely and clean. Small arrival box was there for us, which included coffee, sodas and some other snacks. Loved the washer and dryer. There are various restaurants within walking distance. Also, a great grocery store is also within walking distance. Don't load your grocery bags too full as the walk back to the apartment can be long. Tram station, Van Boetzelaerlaan (line 16) is about a 10 minute walk away. This was a quicker way into The Hague than tram line 11 which is across the road from line 16. Central Location, incredible views, close to many things, the actual apartment was bigger and nicer than I expected. It was more than I needed but I still enjoyed it and would book again. Oh and parking. Although I didn't have a car, the people I visited used it to easily pick me up and drop me off. Check in was very easy and the staff very friendly, she also gave us some tips about where to go with the kids. The apartment is very new and beautiful with a great view from the harbour. We could easily contact the owner when we needed help, even though it was Sunday night. Many restaurants and a supermarket in the neighbourhood. Not far away from the beach. I like the underground parking, the easy of checking in and the facilities. The view from the apartment was spectacular, watching the sunset was amazing. it was wonderful Harbor stay, the place its close shops, restaurants lovely cafe and beautiful view of lots boats, Ones again thank you Bizstay for wonderful short break ,.See you soon, we missed terribly the Harbor breeze. Very close to the harbour. Will be nice in the summer time. In february almost No one there. The apartments are really spacious. We had booked 3 apartments for 8 adults and two small kids and we ended up having way too much room, since we always met only in one of the apartments. But I guess you can't really complain about that. :) There is everything necessary in the apartments like a washer, dryer, dishwasher. The girl working at the `reception` was really nice. 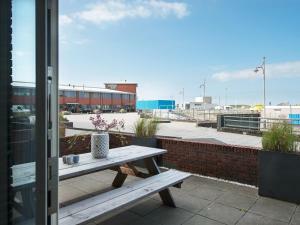 Lock in a great price for BizStay Harbour Scheveningen Apartments – rated 8.8 by recent guests! One of our top picks in Scheveningen.BizStay Harbor Scheveningen Apartments offers elegant modern apartments with free Wi-Fi and views of the harbor in Scheveningen and/or the sea. Private parking is possible on site for free. The Zuiderstrand beach is at 10 minutes walking distance. The spacious open-plan living area includes a comfortable sofa, a dining area and flat-screen TV with a DVD player. The Apartments have a stove, oven and dishwasher in the kitchen. The modern bathrooms include a shower, heated towel rail and free toiletries. A washing machine and dryer are also provided. The harbor offers a variety of restaurants and bars. The center of Den Haag, including sights such as the Mauritshuis Museum and Noordeinde Palace, is 10 minutes from the apartment by car. BizStay Harbor Scheveningen Apartments is a 30-minute car journey from the historic town of Delft. When would you like to stay at BizStay Harbour Scheveningen Apartments? We can welcome you at the apartment between 08:00 (8 AM) and 22:00 (10 PM). Early or late-check is can be arranged upon request and comes at a surcharge of EUR 25. This 2-bedroom apartment features a double bed and free WiFi. Guests benefit from a balcony overlooking the sea. Extras include a washing machine, a tumble dryer and private parking. It is possible to separate the double bed. An elevator is available. This 2-bedroom penthouse apartment features a double bed and free WiFi. Guests benefit from a balcony overlooking the harbor. Extras include a washing machine, a tumble dryer and private parking. It is possible to separate the double bed. An elevator is available. This 1-bedroom apartment features a double bed and free WiFi. Extras include a washing machine, a tumble dryer and private parking. It is possible to separate the double bed. An elevator is available. This 1-bedroom apartment benefits from a balcony with harbor view. It features a double bed and free WiFi. Extras include a washing machine, a tumble dryer and private parking. It is possible to separate the double bed. An elevator is available. This 2-bedroom apartment benefits from a balcony with sea and harbor view. It features a double bed and free WiFi. Extras include a washing machine, a tumble dryer and private parking. It is possible to separate the double bed. An elevator is available. This 2-bedroom apartment benefits from a balcony with sea view. It features a double bed and free WiFi. Extras include a washing machine, a tumble dryer and private parking. It is possible to separate the double bed. An elevator is available. This 2-bedroom apartment features a double bed and free WiFi. Guests benefit from a balcony overlooking the harbor. Extras include a washing machine, a tumble dryer and private parking. It is possible to separate the double bed. An elevator is available. Hellingweg 10B, 2583 WG Den Haag. This 1-bedroom apartment benefits from a balcony with partial sea view. It features a double bed and free WiFi. Extras include a washing machine, a tumble dryer and private parking. It is possible to separate the double bed. An elevator is available. This 3-bedroom penthouse apartment features a double bed and free WiFi. Guests benefit from a terrace overlooking the sea. Extras include a washing machine, a tumble dryer and private parking. It is possible to separate the double bed. An elevator is available. Hellingweg 32, 2583 WG Den Haag. This 2-bedroom penthouse apartment features a double bed and free WiFi. Guests benefit from a terrace overlooking the harbor. Extras include a washing machine, a tumble dryer and private parking. It is possible to separate the double bed. An elevator is available. This 1-bedroom apartment features a double bed and free WiFi. Guests benefit from a balcony overlooking the harbor. Extras include a washing machine, a tumble dryer and private parking. It is possible to separate the double bed. An elevator is available. The address of this apartment is: Hellingweg 54A, 2583 WG Den Haag. 2-bedroom apartment located in a modern complex at the Harbor of Scheveningen. An elevator is available. Spacious balcony on the sea side looking out over the sea and a second balcony on the harbor side offering views on the yachts. A washing machine and tumble dryer are available. There is free WIFI throughout the apartment. Private parking is included. The unit has double beds which can be separated. The address of this apartment is: Hellingweg 60B, 2583 WG Den Haag. 2-bedroom apartment located in a modern complex at the Harbor of Scheveningen. An elevator is available. Spacious balcony on the sea side looking out over the sea and a second balcony on the harbor side offering a view on the yachts. A washing machine and tumble dryer are available. There is free WIFI throughout the apartment. Private parking is included. The unit has double beds which can be separated. 1-bedroom apartment located in a modern complex at the Harbor of Scheveningen. There is an elevator available, as well as a washing machine and tumble dryer. There is free WIFI throughout the apartment. Private parking is included. The unit includes a double bed which can be separated. 1-bedroom apartment with harbor view located in a modern apartment complex at the Harbor of Scheveningen. In addition, this apartment offers two bed chairs in the living room. There is an elevator available. The harbor is filled with many restaurants and bars. The beach (Zuiderstrand), is within walking distance. Washing machine and tumble dryer are available. There is free WiFi throughout the apartment. Private parking is included. Double bed that can be separated. The address of this apartment is: Hellingweg 54, 2583 WG Den Haag. The address of this apartment is: Hellingweg 70, 2583 WG Den Haag. 3-bedroom penthouse apartment located in a modern apartment complex at the Harbor of Scheveningen. There is an elevator available. The harbor is filled with many restaurants and bars. The beach (Zuiderstrand) is within walking distance. Terrace with view over the ocean. Washing machine and tumble dryer are available. There is free WIFI throughout the apartment. Private parking is included. Double beds that can be separated. The address of this apartment is: Hellingweg 48A, 2583 WG Den Haag. 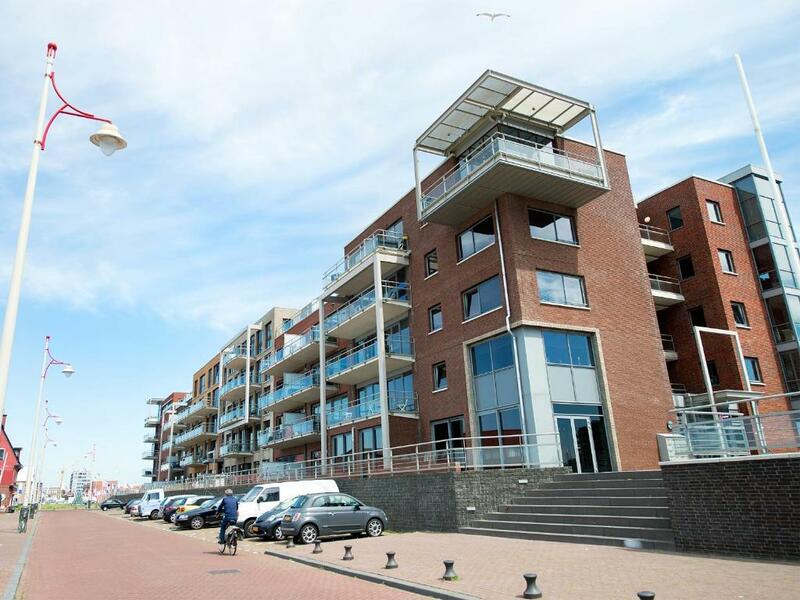 1-bedroom apartment located in a modern apartment complex at the Harbor of Scheveningen. In addition, this apartment offers two comfortable bed chairs in the living room. There is an elevator available. The beach (Zuiderstrand), is within walking distance. Washing machine and tumble dryer are available. There is free WiFi throughout the apartment. Private parking is included. Double bed that can be separated. The address of this apartment is: Hellingweg 56D, 2583 WG Den Haag. The address of this apartment is: Hellingweg 56C, 2583 WG Den Haag. 1-bedroom apartment located in a modern apartment complex at the Harbor of Scheveningen. In addition, this apartment offers two comfortable bed chairs in the bedroom. There is an elevator available. The harbor is filled with many restaurants and bars. The beach (Zuiderstrand), is within walking distance. Washing machine and tumble dryer are available. There is free WIFI throughout the apartment. Private parking is included. Double bed that can be separated. This apartment features a tumble dryer, oven and kitchenware.